Lawsuit • A legal dispute centers on cause of geothermal plant's failure. Raser Technologies Thermo 1 plant near Beaver turned out to be more costly and produced much less electricity than the company envisioned. Courtesy photo Courtesy image Pratt & Whitney subsidiary UTC Power Corp. supplied the PureCycle units at the Raser Technologies' Thermo 1 plant near Beaver in 2008. Pratt & Whitney contends the units worked as specified, which Raser disputes. 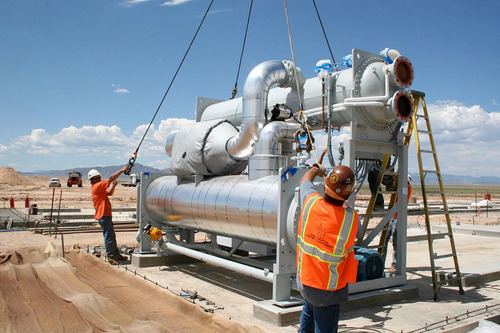 The company that built the generating units for the failed Thermo 1 power plant near Beaver said Utah's Raser Technologies Inc. took a big gamble when it developed the geothermal project  and lost. The Thermo 1 project used technology developed by Pratt & Whitney subsidiary UTC Power Corp. Raser boasted the technology would allow it to generate electricity from the geothermal industry's holy grail  water wells that weren't typically viewed as hot enough to produce commercial power. Raser's plant, though, turned out to be a bust. The company filed for bankruptcy under Chapter 11 provisions of the U.S. Bankruptcy Code earlier this year. In September, after emerging from the protection of the bankruptcy court, the Provo-based Raser filed a lawsuit in the U.S. District Court in Delaware against the maker of the "PureCycle" generating units claiming it was the victim of a $100 million joke. The lawsuit claimed that UTC Power misrepresented the capabilities of the units  they were described as operating much like air conditioners running in reverse  when it said that 50 of the generators could be combined into a plant capable of producing 10 megawatts of electricity. In its answer to the lawsuit, and in an opinion piece available at energy.aol.com, Pratt & Whitney lays the blame instead on Raser. It alleges the Utah company built the Themo 1 plant without fully understanding the geothermal field it hoped to exploit. "It is disappointing that even after going through bankruptcy Raser and Thermo continue to blame others rather than accepting accountability for their own decisions," Matthew Bates, a spokesman for Pratt & Whitney Power Systems, said in an email statement. Bates said the Thermo project failed as a result of Raser's inability to develop an adequate field of geothermal wells. Pratt & Whitney Power Systems Vice President Charles E. Levey, who wrote the opinion piece, alleged the failure of the Thermo 1 plant could be traced back to Raser's effort in 2006 to "revolutionize" the geothermal power industry. 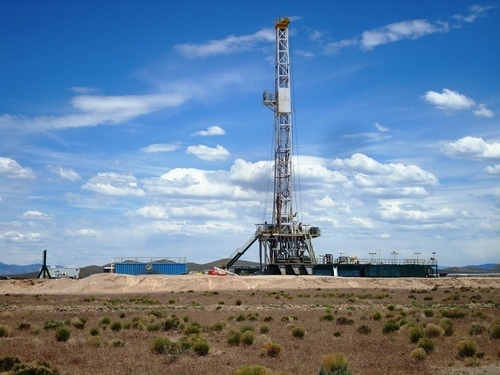 Rather than its drilling its geothermal wells first  the traditional practice in the industry  Raser tried to develop its well field and build its power plant simultaneously. "Although Raser's well drilling at the Thermo 1 site was still in its preliminary stages, and the wells were still not characterized, construction of a power plant commenced the following month, and by mid-November of 2008, all 50 PureCycle Units were installed at Thermo 1," Levey wrote. He said that during the 24 months that followed the commissioning of the PureCycle units, Raser continued to drill and develop the well field at Themo 1. "Unfortunately progress and well output were insufficient to enable Raser to generate and sell electric power at the levels required to satisfy Raser's lenders and investors," and the company filed for bankruptcy. Representatives for Raser, which has recently changed its name to Cyrq Energy and moved its offices to downtown Salt Lake City, could not be reached for comment on Pratt & Whitney's response to its lawsuit. Pratt & Whitney contends it was owed more than $900,000 under a plant service agreement at the time Raser filed for Chapter 11. However, it indicated it is not seeking any relief from Raser that would be barred by that company's Chapter 11 reorganization plan.